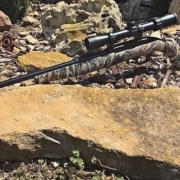 Why is Pre-Ranging Your Turkey Hunting Setup so Important? Turkey hunting success often comes down to whether or not you can get a turkey into range. Whether using a shotgun or a bow, knowing the exact range at which you can effectively shoot a bird is vital. While you might be limited to no more than 40 yards, it’s important that you know where that is in the heat of the moment in the field. Pre-ranging your turkey hunting setup is easy enough but it needs to be ranged with confidence that only comes with the other tips mentioned below! Almost everybody has heard the phrase “know your effective range”. This phrase applies to every weapon you use regardless of the quarry and is no different for turkey hunting. 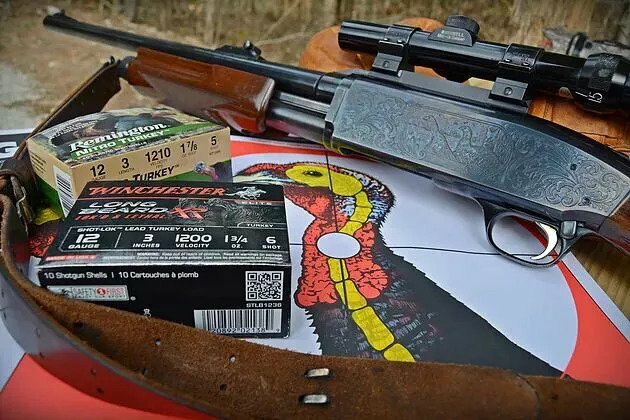 Finding out what your effective range is for turkey hunting is as simple as patterning your shotgun. Your goal should be to place at least 10 pellets in the head and neck region of a gobbler. When patterning, a better goal to shoot for is around 100 pellets in a 10-inch circle. 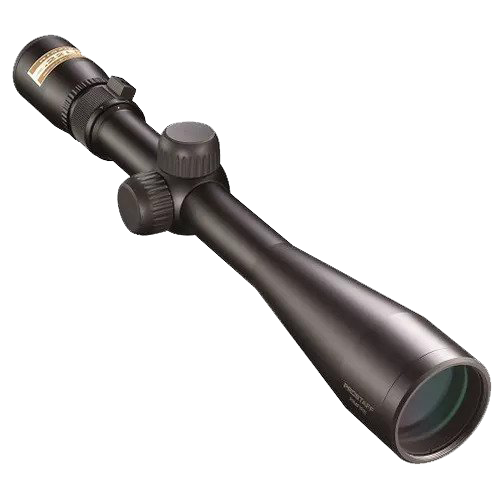 Mounting a scope on your shotgun will also help you with adjusting your pattern. 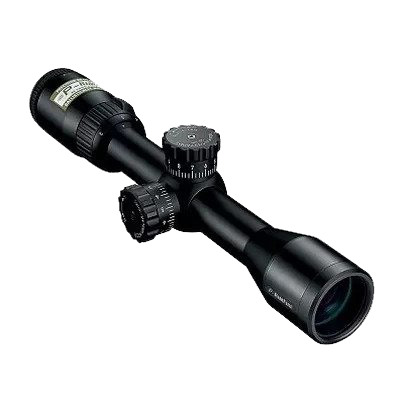 Having moving reticles allows you to adjust your scope if your pattern is off in any direction. Similar to deer hunting, just move your reticle to the densest portion of your pattern, shoot, and repeat until you’re confident with where your pattern is hitting on the target. This will help maximize the number of bb’s you’re able to place in the head and neck region of a turkey. 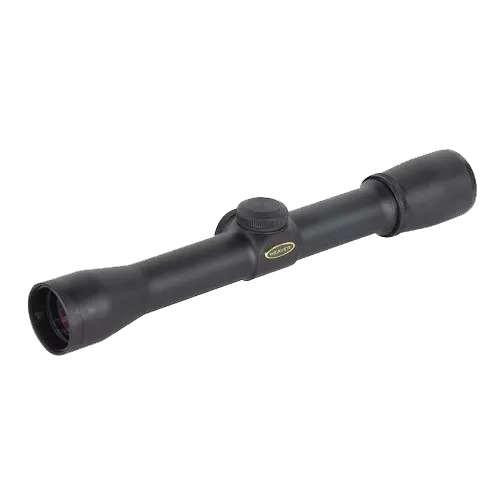 Turkey hunting scopes are becoming more popular with most companies having some type of product for easy target acquisition and easy aiming for patterned shotguns. 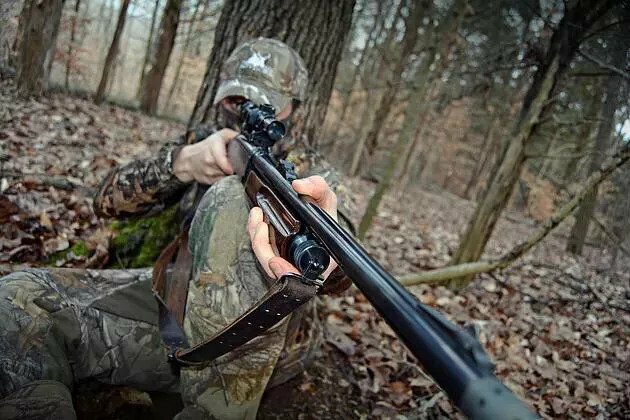 Regardless of whether you use a scope or not, patterning your shotgun will give you confidence knowing your effective range before entering the turkey woods which will also increase your efficiency and success. After you know what your effective range is you can immediately improve your turkey hunting setup and it’s as simple as using this information to help you decide how far away from your blind you should set your decoys. It might be tempting to set your decoys out at your maximum effective range, but you should resist that temptation. Instead, set your decoys up even closer than what you’ve established as your maximum effective range. This will help you to still be able to make a lethal shot even if a gobbler hangs up beyond your decoys. So, for example, if your effective range is 30-yards, try setting your decoy up at 20-yards. That way if a gobbler hangs up at 30-yards, you’ll still be able to take an ethical shot and if that gobbler comes strutting into your decoys at 20-yards, then you should have a chip shot. Remember that sometimes it doesn’t take much for a tom to hang-up just beyond your decoys so be sure to set yourself up for success. This is when having a rangefinder becomes useful. Having a rangefinder is an easy way to decide whether you should take the shot on a tom or whether he’s just out of range. Be sure to also range natural markers such as easily identifiable trees, shrubs, rocks, patches of grass, etc. to help you quickly determine how far the gobbler is once he becomes visible. Having these natural markers ranged before you have a gobbler in sight will also help you reduce the amount of movement needed to range the gobbler itself. Sometimes, even the best hunting plans can get flipped upside down so be sure to do everything you can to increase your chances of success. 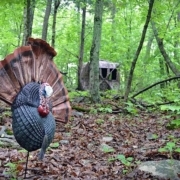 Knowing terrain features of the property you’re hunting can greatly improve your turkey hunt. 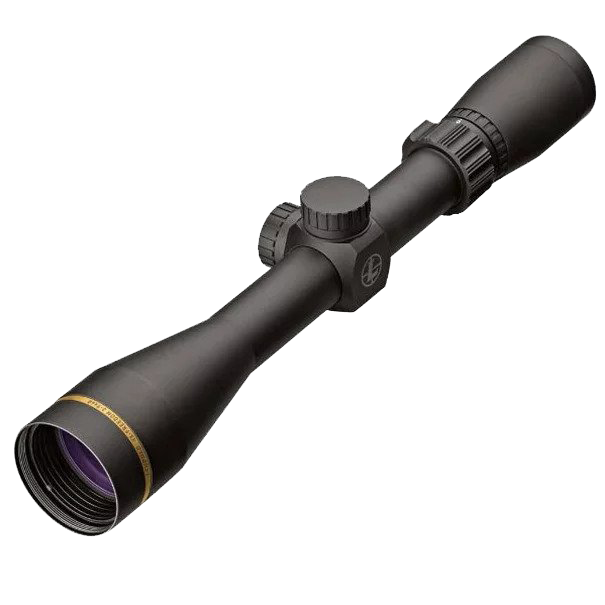 A little bit of scouting can go a long way, particularly if you’re hunting out of a field in a ground blind. First of all, establishing where toms tend to strut in the field before setting up will obviously help determine your blind placement and can be easily accomplished using a trail camera or by doing some scouting from a nearby road. But things may become a little more complicated if you decide to get out of your blind to pursue a bird on foot. Most people have experienced a situation where a tom was gobbling and seemingly coming into their calls, only to have the bird go silent and never show up. Knowing where property lines are and whether there are any creeks that run through the property can increase your chances of success. When chasing a tom, make sure to set up in a way so that property lines and creeks aren’t in between you and the tom. That way, there is no chance for those features to be the cause if a tom hangs up. Also, identify potential strutting areas where there is short vegetation that allows for a gobbler to be seen while strutting. Setting up in strutting areas will also increase your chances of intercepting the tom and closing the deal. It’s your responsibility as a hunter to make a clean and ethical kill and knowing your effective range will help you to do that. Taking shots that are outside of your effective range, or are taken with brush or tall grass in between the turkey and the hunter will often times lead to a miss or even worse, an injured bird. It can be easy to fall into the mindset that you’re sending several bb’s down range and all it takes is one to kill the bird, but don’t fall into that kind of thinking. Letting a tom walk away uninjured is far better than taking a questionable shot and injuring a bird. 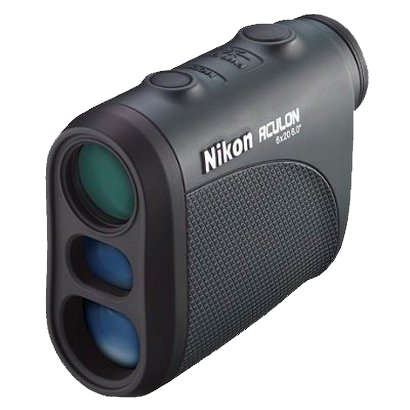 There are many rangefinders to choose from that can work great for turkey hunting. 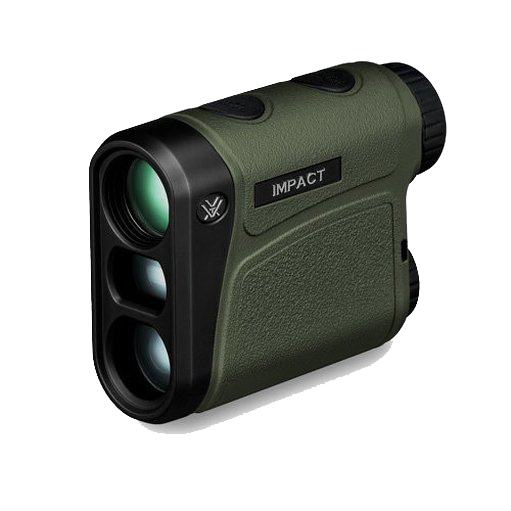 Here are some good options but feel free to look around for several discount rangefinders and deals! Following these steps by patterning your shotgun and being confident with your effective range along with carrying a rangefinder while hunting will help to decrease the chances of wounding a bird and increase your chances of success. https://www.theopticzone.com/wp-content/uploads/2018/12/ezgif.com-webp-to-jpg-6.jpg 420 630 Stone Road https://www.theopticzone.com/wp-content/uploads/2018/10/The-Optic-Zone-For-All-your-Optic-Needs-Logo-2.png Stone Road2018-03-25 09:26:592018-12-06 10:53:58Why is Pre-Ranging Your Turkey Hunting Setup so Important?